The Promenade model is the most expensive stroller in the Phil and Teds line. The main feature of this stroller is the ability to convert from a single into a double mode with an addition of a second seat. Both seats can convert into a flat-bed bassinet like environment that is perfect for a newborn. You can also convert it into a ravel system. With over 8 seat combinations, the Promenade model can accommodate two newborns, a newborn and a toddler, or two toddlers. This luxury buggy is full of amazing features like large canopy, telescoping handle bar, swing away bumper bar and easy compact fold. 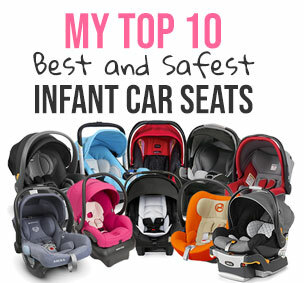 The main seat is reversible, has an adjustable foot rest, and can hold a child up to 40 lbs. It rolls on four wheels with front wheel suspension for smoother ride. This model is made for parents who live an an urban environment and want to travel in style. The narrow frame design allows parents to navigate through narrow doorways and other tight spaces even in double mode. I gave this buggy a 4 out of 5 stars because of the heavy weight, lack of storage, lack of accessories from Phil & Teds, no fun colors, the additional adapters for reversing the seat, low weight limit of the main seat, and not-so-great maneuverability. The lowest price I found was $600 for a single model and $730 for a stroller with a double kit on Amazon (free shipping/free return and no sales tax). Ouch! I know…it’s not cheap especially once you purchase all the accessories. -Large canopy. The canopy doesn’t look big, but it unzips in the middle and becomes huge. The panel in the middle is made out of dark mesh that will still shade your child from the sun while providing better air circulation. The canopy is attached to the back of the seat and does NOT convert into a ‘floating/ follow-the-sun’ canopy. There is also a peekaboo window with a quite closure (no noisy Velcro). -Telescoping handle bar. I really LOV this handle bar! Because of the curved frame, it telescopes out up and towards you, instead of just extending up. Taller parents will have plenty of leg room even with the second seat. -Run-away strap. Although it is not a jogging stroller, there is a short run-away strap attached to the handle bar. -Reversible seat. The seat is 12″ wide with 19″ seat back and a measurement of 22″ from the bottom of the seat to the top of the canopy. The canopy does slide up the frame to give your child more head room. The seat is designed to accommodate a child from birth and up to 40 lbs (not a very high weight limit). It has one-hand recline with three recline positions. The recline goes to a flat position for a newborn. When you recline the seat, the whole seat reclines keeping its ‘v’ shape so there is no room for your child to stretch. For younger kids you can solve this problem by turning the seat into a flat-bed, but your toddler will always be in a sitting position even when he is sleeping. The seat is also reversible. The only thing I don’t like, is that to reverse the seat you need to use additioanl adapters. After you are done connecting those adapters to the frame, you can reverse the seat so the baby is facing you. In reverse mode, the seat will be positioned higher on the frame. I think attaching those adapters is an annoying extra step. -Flat-bed. The seat can to turn into a ‘flat-bed’ creating perfect environment for a newborn. All you need to do is unclip two buckles underneath the seat. The flat-bed does look like a bassinet, but it cannot be taken off the stroller. Another great stroller that also has a ‘flat-bed’ feature is Mountain Buggy Cosmopolitan model. -Bumper bar. INCLUDED! Unlike other Phil&Tends strollers, Promenade has a swing away removable bumper bar. I guess they were saving the best for the most expensive one. LOL. -5 point harness. It has a padded adjustable 5 point harness with a hard-to-unlock buckle. -Adjustable foot rest. It’s very unique to see an adjustable foot rest on the seat that converts into a flat-bed. I am happy they’ve added it because that’s what parents expect when they buy a luxury stroller. -Large basket. The basket is HUGE! You can easily fit two large diaper bags when the stroller is used in a single mode. Unfortunately, you will lose all this room in a double mode, since it will be taken up by the child’s legs. –Wheels. The Promenade rolls on four wheels with 8″ wheels in the front and 12″ wheels in the back. It has foam filled tires, meaning you will never get a flat. The rear wheels have a tire gourd for when you have the 2nd seat. I was really disappointed that despite the large wheels and front-wheel suspension, the Promenade was not easy to push and it didn’t provide a very smooth ride on bumpy paving or grassy areas. It was much easier to navigate on a flat surface of the shopping mall or on even pavement … Really? For all these money I can only use it on a flat surface? -Front-wheel suspension. It does absorb some of the bumps, but I wish there was an all-wheel suspension system. -Foot brake. There is a single foot brake located in the back between rear wheel. It is flip-flop FRIENDLY! -2nd seat. The 2nd seat is absolutely great! It has one-hand recline, nice canopy, and the same 5 point harness as the main seat. There are three recline positions from upright to sleep ideal layback. This 2nd seat can also turns into the ‘flat-bed’ just like the main seat, so you can put a newborn in it. How great is that? LOVE IT! There are over 8 seat combinations. It can hold a child up to 40 lbs when used in the front of the stroller and 33 lbs when used in the back. -Over 8 seat combinations. There are over 8 different seat combinations to accommodate a growing family. You can use it in a single or double mode. Single mode: main seat facing forward, main seat facing rear, travel system, flat-bed facing forward, flat-bed facing rear. Double mode: two main seats facing forward, travel system + 2nd rear seat facing forward, two flat-beds facing forward or different directions, flat-bed + front seat forward facing. Amazing!!! -Easy fold. To fold the Promenade, you will need to use both hands. First, push down the handle bar. Next, pull on two levers located on both sides of the frame and bring the seat down to a fold. That’s it! You will need to remove the second seat before folding the stroller. The folded dimensions are 38″L x 17″H x 25″W. It’s very compact, but I kind expected it since it had a reversible ‘V’ shaped seat. -Low weight limit. 40 lbs is a little lower than on other strollers. I would like to see at least 45 lbs. The 2nd seat also has a low weight limit of 33 lbs when positioned in the back. -Weight. This stroller weighs whooping 28 lbs. Very heavy! Putting it into the trunk will be a challenge. -Bulky. I know they say it’s a compact fold on Phil & Teds site, but in real life I found it to be bulky. It will take all the room in the trunk. -Maneuverability. This stroller is heavy and it does NOT push easy. You have to use some muscles even on the flat surface. -Lack of storage. The large basket is the only storage on the stroller. I wish there was a pocket in the back of the main seat. In double mode, you can’t even use the basket. Your only option is to hang your diaper bag from the handle bar. -Colors. This stroller is only available in black. No fun colors. How boring is that? I thinks it was the main complaint from the parents. As always, Baby Gizmo has a great video review. Note: The second seat can hold a child up to 40 lbs in the front of the stroller and ONLY 33 lbs when positioned in the back. If you want to see how Promenade model compares to other Phil & Teds strollers here is a great comparison chart. For 2013 the Promenade is available only in black, but you can purchase seat liners in a different color to bring some fun into the boring black. All stroller comes with a sleek elliptical aluminum frame. My favorite place to buy strollers and a lot of other baby items is Amazon. It usually has the lowest prices, free shipping, free returns and no sales tax. How great is that? You can get Phil&Teds Promenade single in sleek black color for $599 on Amazon (free shipping/free returns and no sales tax). The double version is also available for $730 on Amazon. You can always just get a single stroller and purchase the second seat later.